to Celebrate INTA 2012 Washington DC. Join us for hors d'oeuvres and cocktails on the roofdeck of the historic Hay Adams Hotel while taking in the unique views of the White House and the monumental DC skyline. 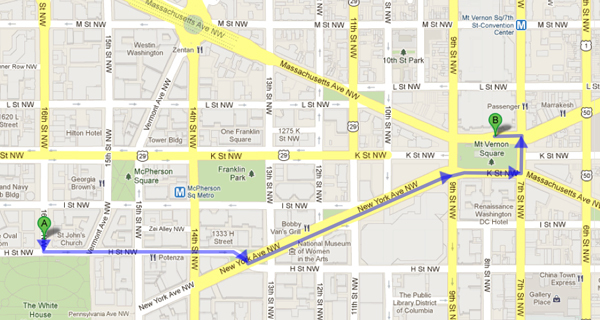 Please see map below for directions to and from the Convention Center and Hay Adams Hotel.